Final Finishes finished: Home made Varnish! A month of mixing up various finishes finally pays off with something usable. It's been about a month, but finally the mixing up of solvents, varnishes and oils has paid off! 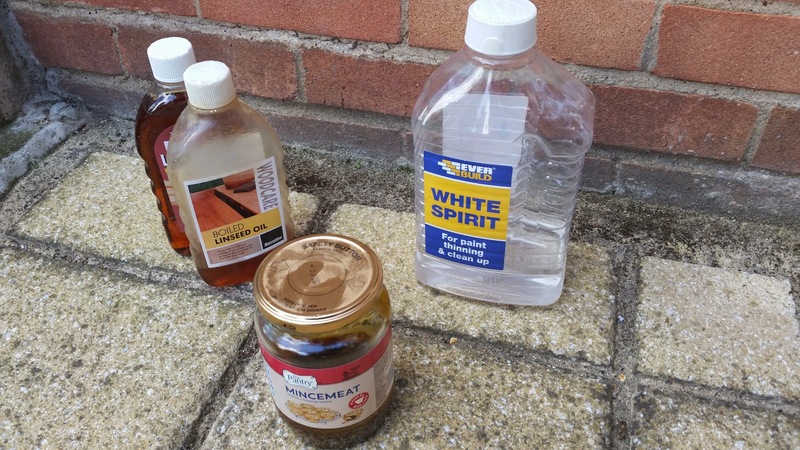 The last time I wrote about these experiments, I'd mixed a few solvents in with some of the old Sadolin, and some raw linseed oil. After applying it to a few test pieces, it was taking far too long to dry. I think it was about 5 days and still not fully dried.